What can we do to the dark spots on an aluminum sheet? Because of the excellent characteristics, aluminum sheet can be seen everywhere in daily life, it has a layer of oxide film on the surface, which makes the use period last longer. But in the use process, you may still found some dark spots attached on the surface of thealuminum sheet! What is the reason? How can we prevent from it? Don’t worry, with more than 20 years manufacturing experience, HAOMEI Aluminum can help you solve this problem. 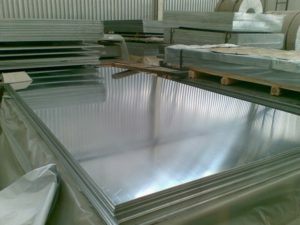 If there are dark spots on the surface of aluminum sheet, the problem may usually occur when painting silver and spray on the aluminum sheet. First of all, it may occur in the spray, if the mouth of the seal is not strict, so there are some organic inclusion in the spray and is sprayed on the surface of the aluminum sheet. Moreover, some organic gases will also cause corrosion of the surface of the aluminum sheet and formation of dark spots on the surface. While the common gas course effects and corrosion of aluminum sheet plate is mostly sulfur-containing gases. Secondly, when the aluminum sheet is in the plating, if a part of the process is fail, it will also lead to the dark spots on the surface, if the environment is closed, it may be because the plating conditions or process problem, which led to the emergence of dark spots. Therefore, when the aluminum sheet is silver-plated, in order to prevent the impact of sulfur elements, after the parts after silver plating, timely store thealuminum sheet and keep sealed, and then placed in dry environment, it can be a good way to prevent this problem effectively.